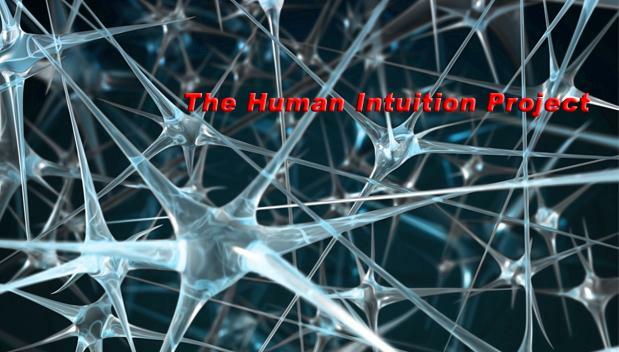 The Human Intuition Project: The classes: Secret plans for making our first Billion dollars. The classes: Secret plans for making our first Billion dollars. We're meeting again in October 4th; I'm going to Europe to meet the King of Spain. All info about the course is available at http://groups.google.com/group/FARG. Please subscribe to follow the latest info [everyone out there is welcome to join]. OR view the course calendar right here in this page. CLASS #1. The game of the century. All that fun in the XXth century. Even more fun in the XXIth century! A large-scale theory of the human brain. The brain is not a computer. The brain does not have regions for language, vision, hearing, or anything else. How many daddies do I have? Invariant representations. Surprise, surprise: The memory-prediction framework. Course objective and 4 course projects. Mr Hawkins, can we be your worst enemies, please? Secret plans for making our first Billion dollars. CLASS #2. Odysseus and the Syrens. Our Jekyll-and-Hyde nature. Who, in fact, are "you"? Emergent behavior. Derren Brown's Tricks. Priming. An emergent computational model of priming. CLASS #3. Information efficiency. On the nature of "understanding". A fatwa and a rather annoying commandment. The "same" response in a Bongard problem. Analogies and roles. The Copycat Project. An information efficiency model of "understanding". CLASS #4. Customer loyalty: How Bayer kept them coming back. de Groot's experiment. Overview of The Capyblanca Project. Matheu 6:24. Serving two masters. Two feedback systems. Interactions between the hedonic and the attentional system. Review of the IOWA gambling task, and the Hefferline experiment. Sketch of a computational theory of pleasure and pain. Who needs reasons when you've got Heroin? 5. Can we measure human intuition mathematically? 6. Developing a Fluid concepts framework. 7. Developing a Fluid concepts framework. 8. Developing a Fluid concepts framework. 9. Developing a Fluid concepts framework. 10. Developing a Fluid concepts framework. 11. Developing a Fluid concepts framework. 12. Developing a Fluid concepts framework.